Need something quick for dinner? How about our Sweet Potato Chowder? If you make in the Instant Pot it only takes 5 minutes to make! Being able to throw dinner in the slow cooker and forget about it has got to be one of the best feelings! This Sweet Potato Chowder is full of delicious vegetables making it the perfect meal for your family! You can also make this meal MEATLESS! Use Vegetable broth, don’t add the bacon, and you are good to go! It will still taste amazing! Now this recipe calls for whole milk, but if you are looking to make it healthier, go for the skim milk. It won’t make it as creamy, but it don’t change the taste much. I think it is still delicious. If you don’t like certain vegetables that I put in, you can easily sub them out. One of the easiest things I find to sub into this recipe is normal potatoes! The sweet potatoes and normal ones together taste amazing! If you have an Instant Pot, but sure to watch our video on our YouTube Channel on how to make it in the Instant Pot! 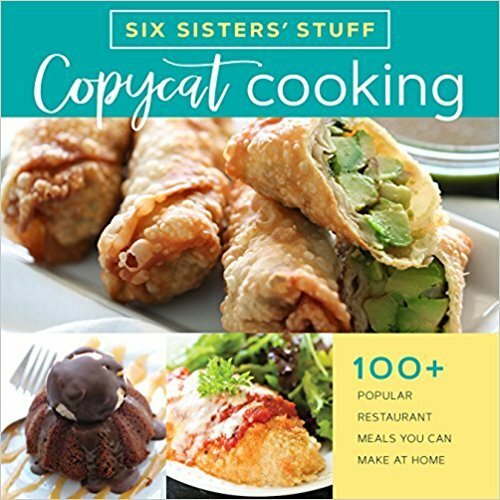 You will LOVE our newest cookbook, Copycat Cooking! We took over 100 of our favorite restaurant recipes and simplified them so that you can make them right at home! In the slow cooker combine onion, sweet potato, broccoli, carrots, canned corn, chicken broth, bacon, and seasonings. Cook on high for 3 hours or on low for 5 hours, until potatoes are soft. 15 minutes before serving, in a small bowl combine milk and flour. Whisk until smooth. Pour milk mixture into the slow cooker and stir. Let simmer for 15 minutes to let milk thicken up. Season with additional salt and pepper as desired. You should be fine substituting zucchini for the broccoli. Do you cook the bacon before placing it in the crockpot? Tried this recipe today and I’m so disappointed. It has zero flavor. I tried adding different spices but just couldn’t get it to be tasty. I really wanted to like it too. Made this tonight and LOVED it! Couldn’t have been more flavor! By the way- I made this on the stovetop and it worked great.